With winter fast approaching, a runny nose may be in the forecast. Pocket tissue advertising is an inexpensive, efficient and effective way to advertise. 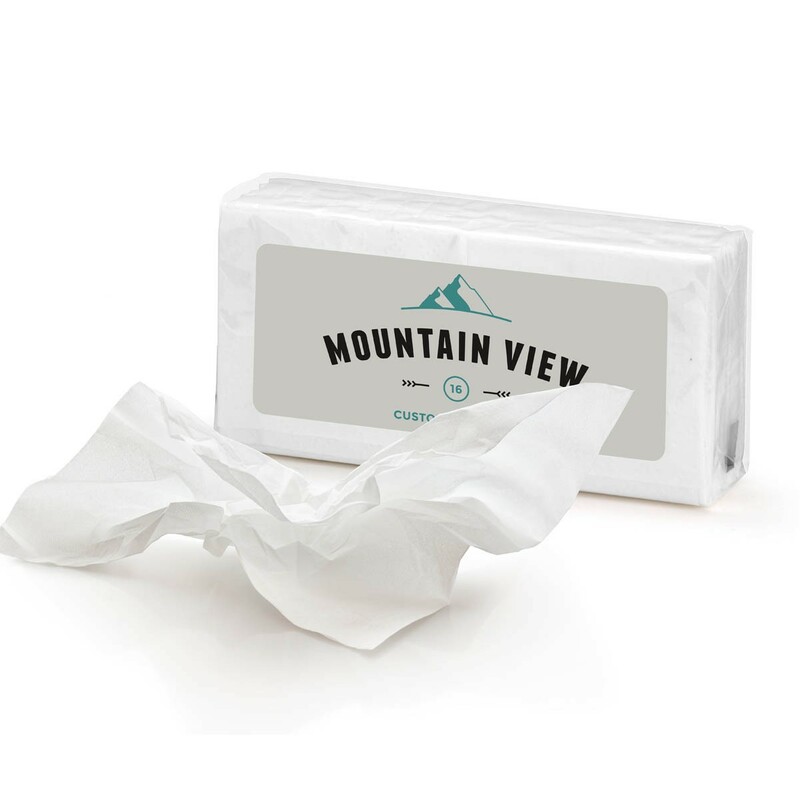 Unlike flyers or business cards that usually get thrown in the trash, pocket tissues are a promotional item that people will find useful and hold on to! What's the difference between pocket tissues, small tissue boxes and cup holder tissues? Pocket Tissues: Pocket tissues go with you wherever you do! You can store pocket tissues in your purse, wallet, car and yes - even your pocket! Custom print your logo right on the pocket tissue package for a promotional item people will find useful. 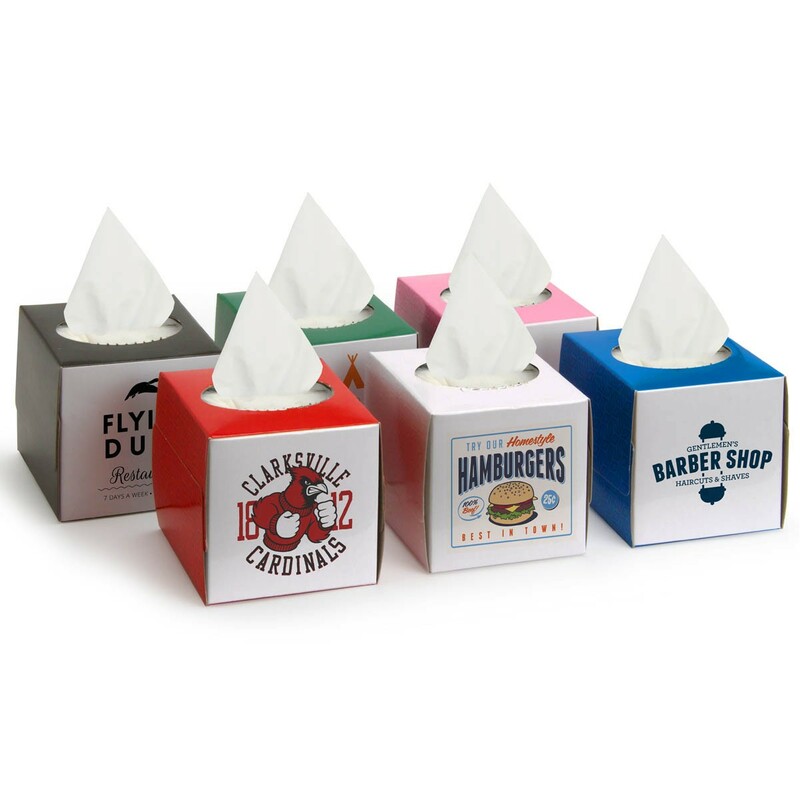 Small Tissue Boxes: Small tissue boxes are a unique item that will make your brand unforgettable! These 3" X 3" boxes can be printed with your company logo and be stored on an office desk, in a locker, a gym bag, glove box, or backpack. People love mini versions of larger items! Cup Holder Tissues: Having tissues on hand in the car is important, especially when winter hits. These cup holder tissues can come with full color print of your brand's logo and be stored in a car cup holder or even a baby stroller! Don't know what to do with custom pocket tissues? Here are some promotional ideas. • Any trade show vendor during the winter months will find that giving out custom tissues to busy businessmen will be much appreciated!